Survivors are people willing to join your community in State of Decay 2. As you develop your home base, you’ll want to draw in more survivors – increase your workforce and knowledge base. In order for a community to thrive, it needs people of various skills, and a sufficient number of them. Some players are confused about the mechanics of acquiring more members. 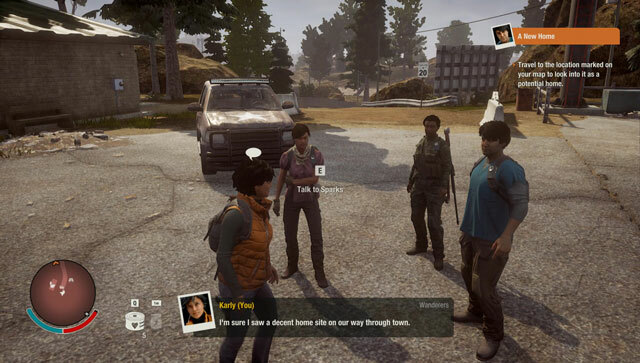 We’ve decided to write this guide to show you how to get more survivors in State of Decay 2. The rule of thumb here is to listen to radio transmissions and wait for distress calls. Survivors will get stuck in unpleasant situation on their own, deep in zombie territory, and they’ll want your help. Your rush over there, deal with the issue, and you’ll get the chance to invite them over to your community. However, keep in mind that you don’t want to invite just anyone. There’s limited space in your quarters, so you’ve got to be picky when bringing more people back. You can always exile or murder the excess people, but that’s just not nice. Instead, don’t invite those you don’t really need. If you already have a gardening specialist, you won’t need another one. Use the Learn About Survivor option to check out their skills and traits before you make a decision. Arguably the most useful ones are those with a free slot instead of the fifth skill – you can train those to be anything you’d like. You just need a textbook, which you can either look for in a library, at a shop, or craft using your home base facilities. But don’t disregard traits. If you have beds outside, for example, you should prioritize people with the camping trait that gives them a boost to morale when they sleep under the clear sky. please i need help currently my base have 8 survivors, (used to be 9). i exiled one out of the camp. but im not being able to recruit more survivors for some reason even though i help them every single time. i even used the radio but its just the enlist option no recruiting option. is this a bug?? i need answers please help. The exact thing is happening to me and I can’t find any info about it.